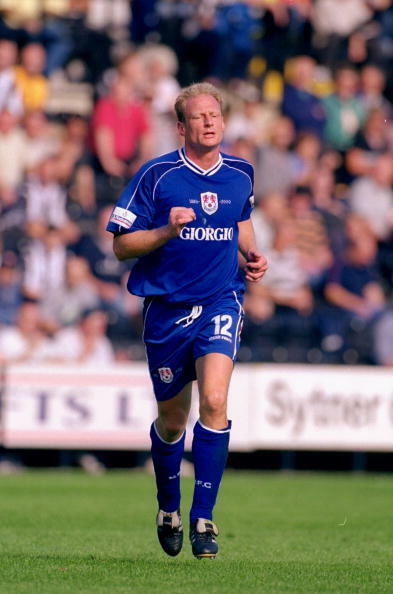 Millwall rarely feature in discussions about classic kits or worst shirts. It’s not as if the South Bermondsey club has a shortage of defining identity, but that’s usually related to the fans and their visceral impact, rather than the team’s visual essence, and it’s the latter rather than the former that we take an interest in. Once known as ‘The Dockers’, the team we now know as ‘The Lions’ began life in 1885 as the factory workers side Millwall Rovers, they turned out in navy blue jerseys, white pants and navy stockings. In subsequent years they’d wear white jerseys and pants with navy stockings, red shirts, thin black and white stripes and thin navy and white striped jerseys. They changed their name to Millwall Athletic ahead of becoming founder members of the Southern League, wearing kit that was all navy but for white stripes on either side of the ‘knickerbockers’. A move to The Den in 1910 saw Millwall go sans suffix and pairing black socks with navy shirts and white shorts, a look that was in place when The Lions joined the Football League in 1920. 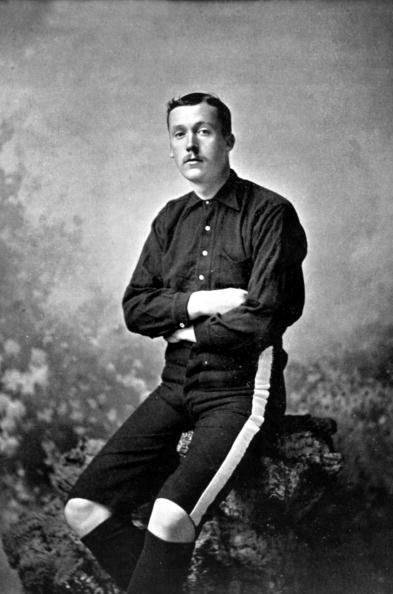 Navy blue remained the club’s primary colour until 1936, when a lighter shade of blue was introduced. Despite spells in all white, 1968-75 and 1999-2001, royal blue and white is the colour scheme most readily identifiable with Millwall F.C. In 2010 however, Millwall marked their 125th anniversary with a return to navy blue, and they’ve stuck with that historic tone since. Think ‘Millwall in the 80s’ and what comes to mind? Terry Hurlock’s ‘Queen guitarist’ hair? Well, yes, but what else? 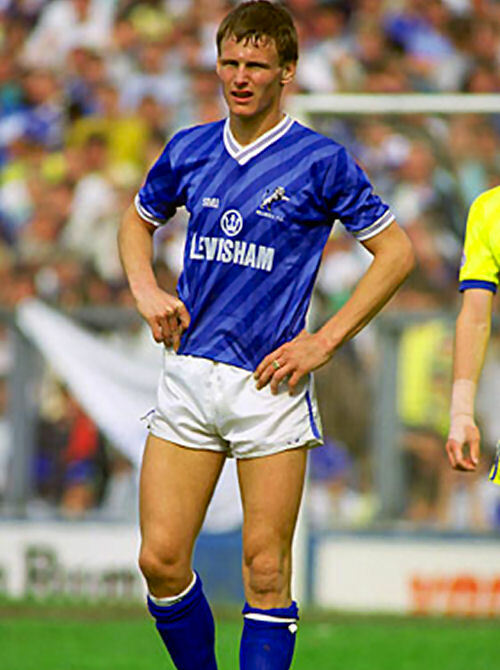 Teddy Sheringham in short shorts that’s what. Those shorts belong to the 1987-1989 Spall home kit. There’s a fine line between looking dated and being retro chic, this kit straddles that line for sure, but when losing its balance, falls on the side of retro chic. Just. This kit maybe the only time we’d champion Spall as a manufacturer, but the diagonal shadow stripes are sweet and we’re a sucker for an overlapping V-neck collar with contrast trim. The rampant lion is a far better crest than the two red lions playing pat-a-cake, which looks like the logo of a budget formal shirt maker. “Wait a minute” I can hear you saying indignantly, “that’s a really nice football kit!” and you’re right, it is a nice football kit, but a Millwall kit? Nah, it doesn’t work as that. 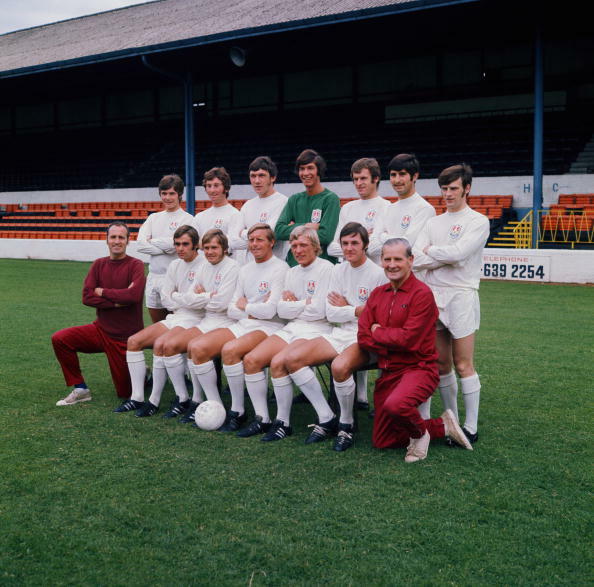 Yes, yes, Millwall Rovers wore white early in their existence and ‘modern’ Millwall went all-white in the late 60s and early 70s, but it doesn’t say ‘Millwall’ at all, whereas solid blue shirts (whether royal or navy) and white shorts do. If this shirt had been blue I’d be singing the praises of its simple design with enough trim to prevent it being drab, the unobtrusive sponsor and dignified discretion of the manufacturer who had their wordmark on the shorts, but not it seems, the shirts. You want to give the past white kits some recognition? 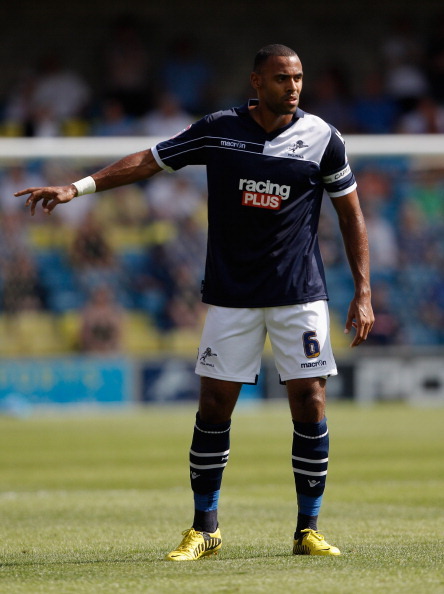 Then have the away kit all white. 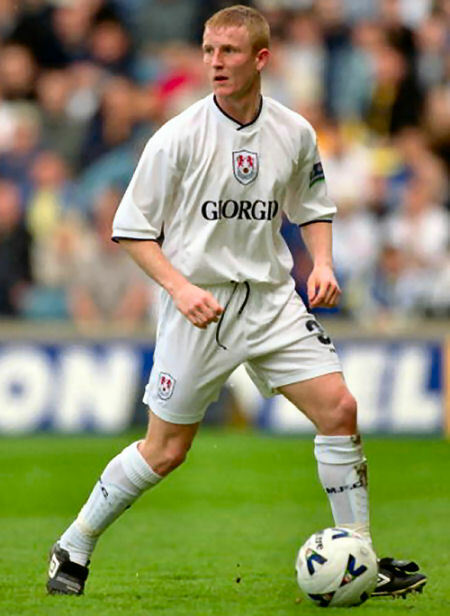 That Millwall brought out a blue third kit to mark their 115th anniversary kit in 2000/01 and wore it at home on occasion seemed to be a tacit admission that changing to white was a mistake, but that move merely compounds the error rather than putting it right. Daft. 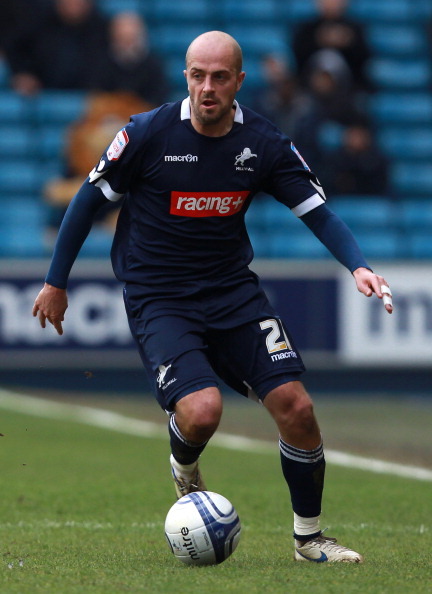 Having changed home shirt colours for their 115th anniversary, Millwall did it again for their 125th, reverting to navy blue and white for 2010/11. This switch is a positive one we feel, lots of teams wear royal blue, but few use navy blue as a principle colour (hardly surprising, it clashed with referee black until officials went colourful in 1992) and looking distinct is a good thing, especially when that distinction honours your club’s inception. The Lions kept navy blue beyond the noted anniversary, hurrah for them, and Macron did a relatively good job (relative for them anyway) with the 2010/11 and 2011/12 kits, but for this season they appear to have fobbed Millwall off with last year’s Napoli training wear. It isn’t a good look.